Your storage needs can be easily solved by renting a portable shipping container in Farr West UT. The only name to know for top-notch portable storage is Haulaway Storage Containers, Inc. We have been industry leaders since 1968. We have learned and improved upon our container design and business model over these past 4 plus decades. We have honed our knowledge and experience in order to provide you with the best storage solutions around. Utilizing a storage container makes projects around the home, office, construction site, retail shop and elsewhere so much more efficient. That’s because we deliver our portable units directly to you. Now you have all of the benefits that come with renting a storage unit without any of the inconvenient trips and high prices that come with traditional, fixed units. We are fast and punctual when delivering a shipping container to your Farr West UT property. Our containers always arrive on time, clean and ready to be used right away. You can obtain a free quote about renting with us either online or via phone call. We are proud to say that we can typically have a unit delivered to your home or business within just one business day of receiving your order. We have containers that are as small as 10’ in length and as large as 40’. They are all constructed to be wind and water-resistant. They are all protected by high security locking systems. Our 20’ and 40’ units have added protection. If you order a storage container in one of these sizes you will receive the highest level of security found within the industry. They are built from 14 gauge steel and have been fitted with our proprietary Rhino Locking System. Side effects for using these high security containers include: peace of mind and sound sleep. Don’t settle for less when ordering a shipping container in Farr West UT. 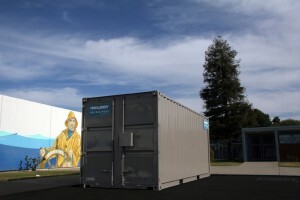 Haulaway Storage Containers offers premium storage delivered wherever and whenever you need it. Contact us today so you can start storing tomorrow.